Since its conception in 2013 The Budleigh Food and Drink Festival has been a non-profit making event, with any monies generated being used to make the next event bigger and better. The ethos of the food festival is “Buy Local” to support East Devon’s food producers, local businesses, musical artists and craftspeople. 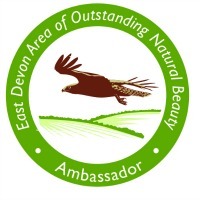 Our aim is to inspire the whole community to make the most of East Devon food resources, promote food producers who show environmental sustainability in their production and reduce food miles… buy local sustainable food and help support our community. The festival is organised and run by volunteers. We are presently building up to apply for charitable status so are operating as a 'small un-registered charity' at present, until we have reached the £5000 annual income threshold in order to apply to the Charities Commission. Do take a look at our objectives if you would like to know more about us. We are always looking for sponsors to help fund our events, please get in touch if you think you can help. The Budleigh Food and Drink Festival is a family affair with something for all generations, including cookery & food nutrition demonstrations, live music, children’s craft, music & food workshops, family entertainment and a food, drink & craft market. For the 2017 Festival: Saturday night 'after dark' in the Public Hall will provide a stage for local bands, with real ales, local wines and street food stalls… it's the festival's party night! The next Budleigh Food and Drink Festival will be Saturday 8th and Sunday 9th April 2017. In the past we have held festivals in October and March, both of which proved to be a little chilly. So we have moved to April and hope that even if the sun doesn't shine, the days will be a little longer and warmer! We are proposing that the Budleigh Food and Drink Festival becomes a bi-annual event, alternating with a fundraising year. Budleigh Salterton is a beautiful seaside town in an Area of Outstanding Natural Beauty AONB in East Devon. Whilst the main festival is in and around the Public Hall and on the adjacent Green, there are many shops, pubs and businesses on the high street and in the surrounding area who join in with the weekend’s entertainment.